NAMSA is a Medical Research Organization (MRO), accelerating medical device product development through integrated laboratory, clinical research, and regulatory and reimbursement consulting services. Driven by our regulatory expertise, NAMSA’s MRO® Approach plays an important role in translational research, applying a unique combination of disciplines—consulting, regulatory, reimbursement, preclinical, toxicology, microbiology, chemistry, clinical and quality—to move clients’ products through the development process, and continue to provide support through commercialization to post-market requirements anywhere in the world. 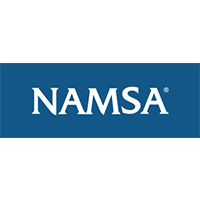 NAMSA operates 13 offices throughout North America, Europe, the Middle East and Asia, and employs nearly 1,000 highly-experienced laboratory, clinical and consulting Associates.